Guru nanak's significance as an inspirational guide to life's meaning extends beyond his time (five hundred years ago) and his gepgraphical setting (South Asia). His teachings are the basis of a world religion Sikhism - a world religion both in the sense that Sikhs now live in substantial numbers in all the inhabited continents and in the sense that what he had to say is challenging and reassuring for people of every cultural background. 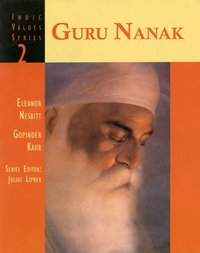 It is for this reason that the authors, the editor, and the publisher decided to produce a book which would bring Guru Nanak to a new generatio of readers. We decided to do this, despite Guru Nanak's observation, at a time when the present day proliferation of publications aws unimaginable, that "One may read cartloads of books...but only true understanding of the One ultimately counts; all else is the babble of the ego."